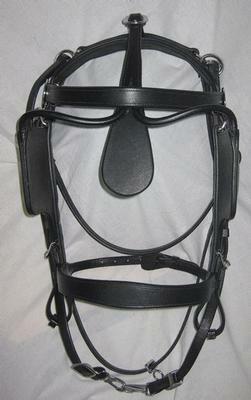 This is a very adjustable bridle with the features of a show bridle. It is sold with side checks but a overcheck can be easily added. Comes with an adjustable noseband/caveson. Available in Leather, Bio, and Granite.